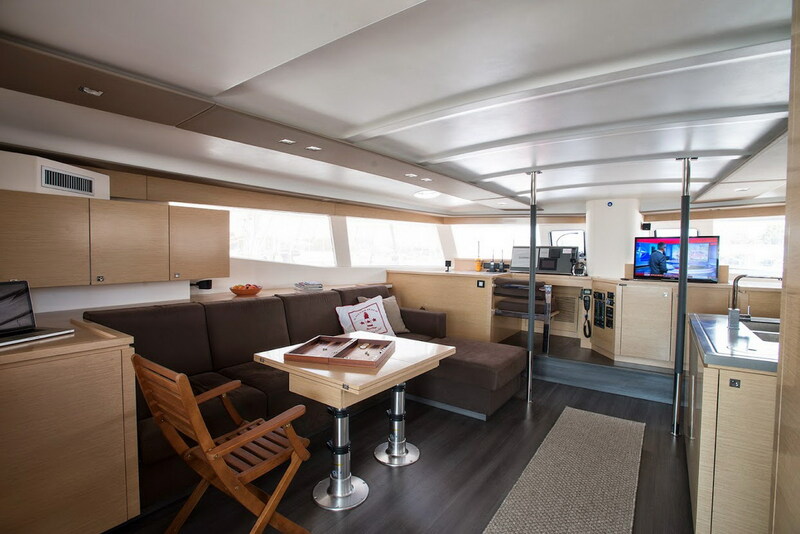 The interior aboard the sailing yacht HIGHJINKS is modern and chic, featuring light and dark earthy tones and soothing neutral soft furnishings. The salon and dining offers a large seating area with integrate formal dining table, well-appointed large galley and full entertainment systems. Surrounding windows bring in ample natural light, while providing spectacular views. 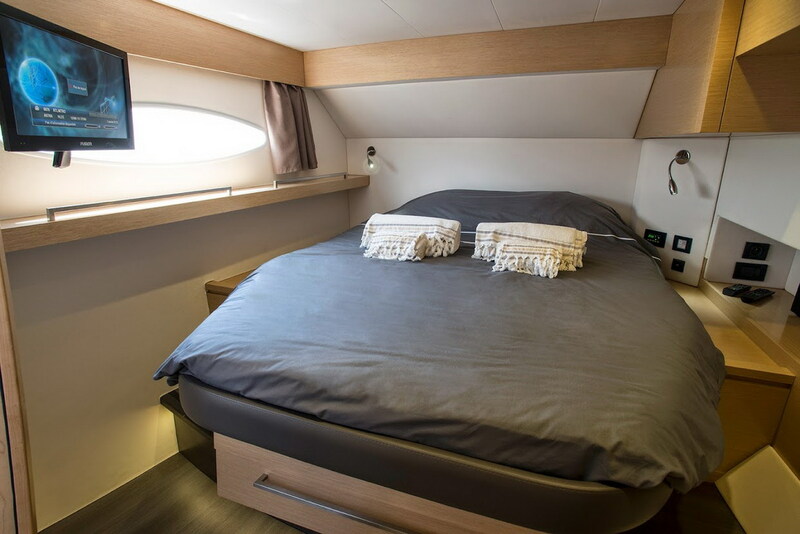 Guest accommodation is in the port and starboard hulls, each with private en-suite facilities. Crewed charter yacht HIGHJINKS has a beam of 8.9m (29.3ft), boasting plenty of exterior living space. Adjacent to the salon, the aft deck is sheltered and has an alfresco dining option, upholstered seating and full wet bar. Further aft, a raised sunbed invites the sun lovers, while 2 wide transoms entice the water enthusiasts. Generous side decks give effortless access to the capacious foredeck, where 2 safety trampolines are great for sunning and relaxing. 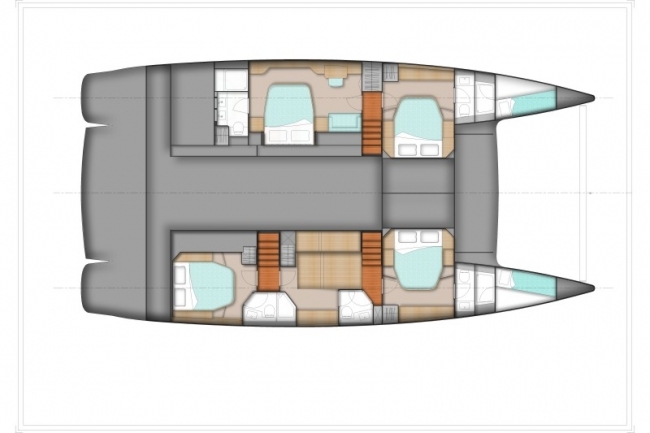 HIGHJINKS is a flybridge design, the upper flybridge has a captain’s helm station, guest seating space and double sunpad. 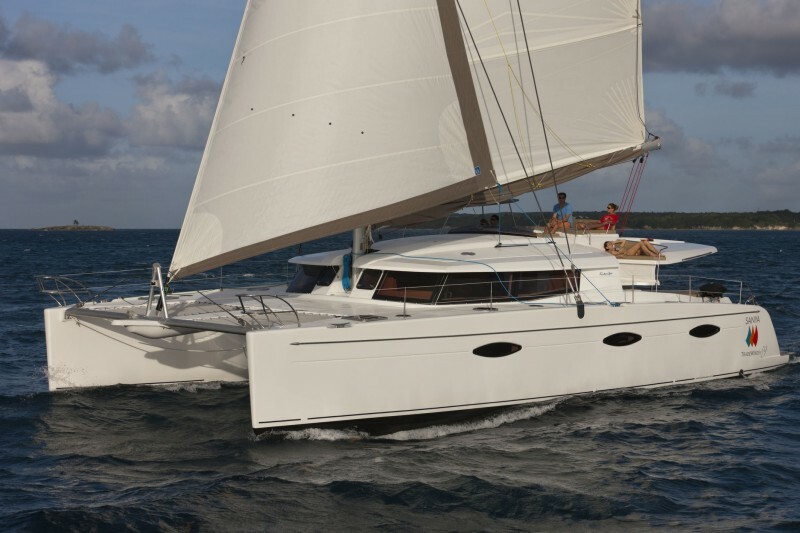 Powered by 2 Volvo 75hp engines, the sloop rigged Sanya 57 catamaran HIGHJINKS cruises at 8 – 10 knots. 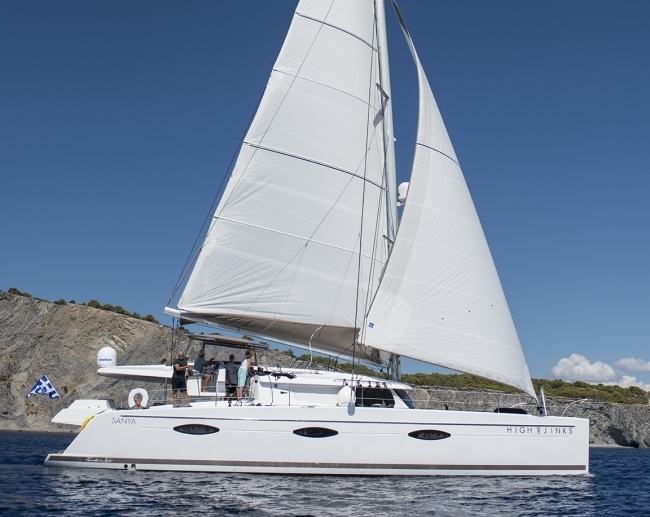 Luxury charter catamaran HIGHJINKS offers 4 stylish guest cabins, each with TV/DVD entertainment and private en-suite facilities. 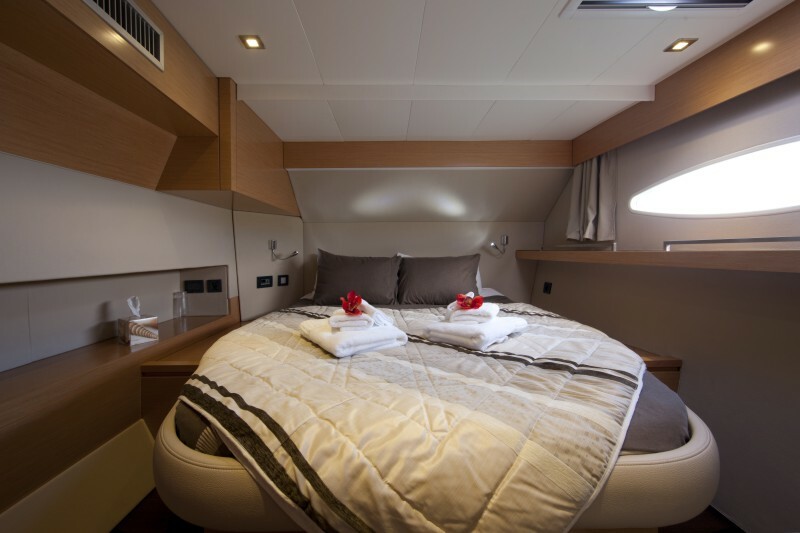 The master cabin is on the port side, with a queen size bed, vanity and love seat. Three guest cabins each have queen size beds. 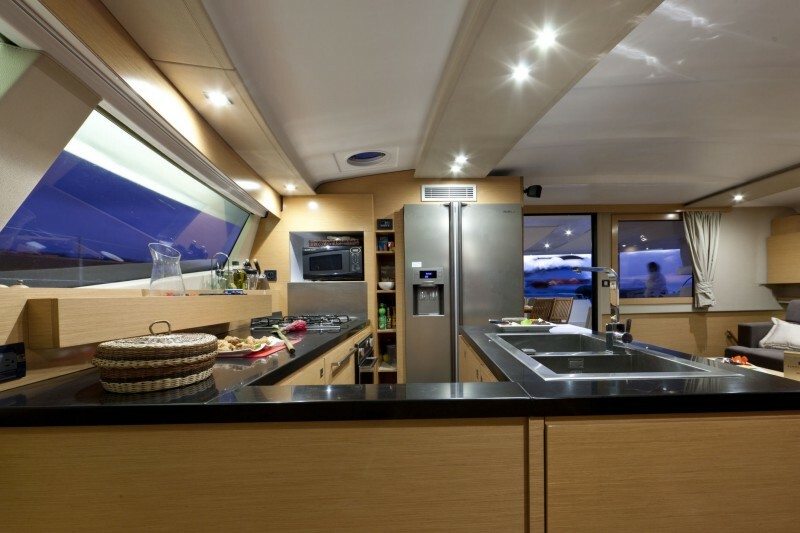 HIGHJINKS has plenty of hatches and ports that provide ample natural light and cool sea breezes. 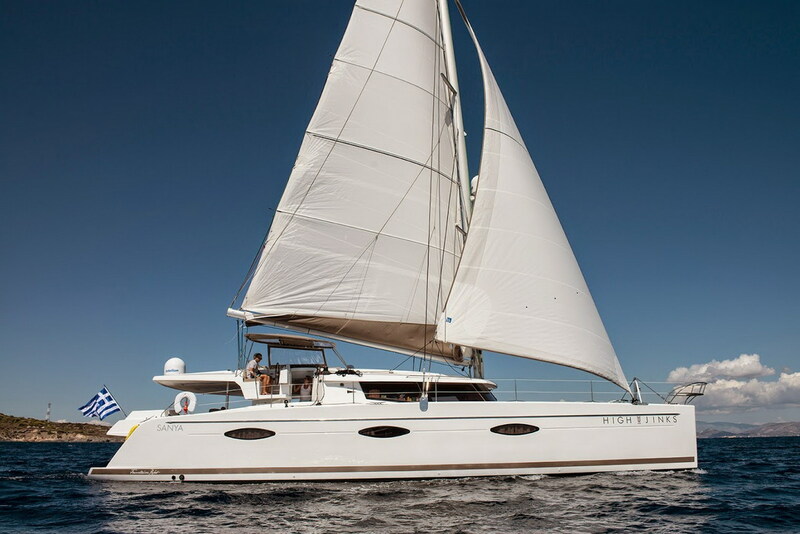 The yacht boasts full air conditioning throughout, for optimum comfort.